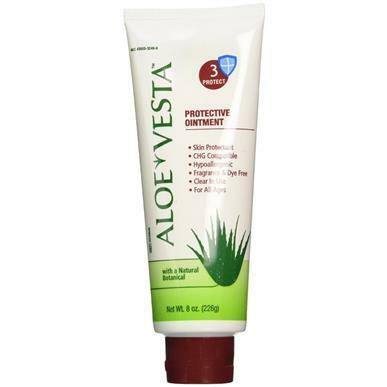 Navigate: StoreFront / Ostomy Supplies / Miscellaneous Ostomy Supplies / Aloe Vesta 2-in-1 Ointment, 8oz. Aloe Vesta 2-in-1 Ointment, 8oz. Aloe Vesta® Protective Ointment has been designed to act as a barrier/ointment for routine use in incontinence care. Easy to apply. Contains petrolatum to seal out moisture and protect the skin. Contains emollients to sooth and moisturize the skin. 8oz tube, sold by the tube.